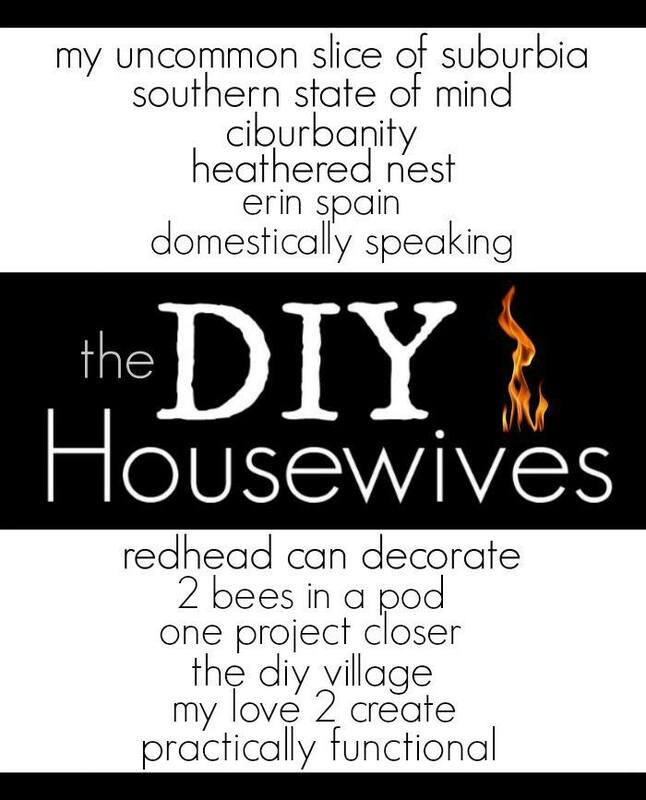 It is the first Wednesday of the month and that means time for another round up of some great DIY Inspiration from the DIY Housewives! 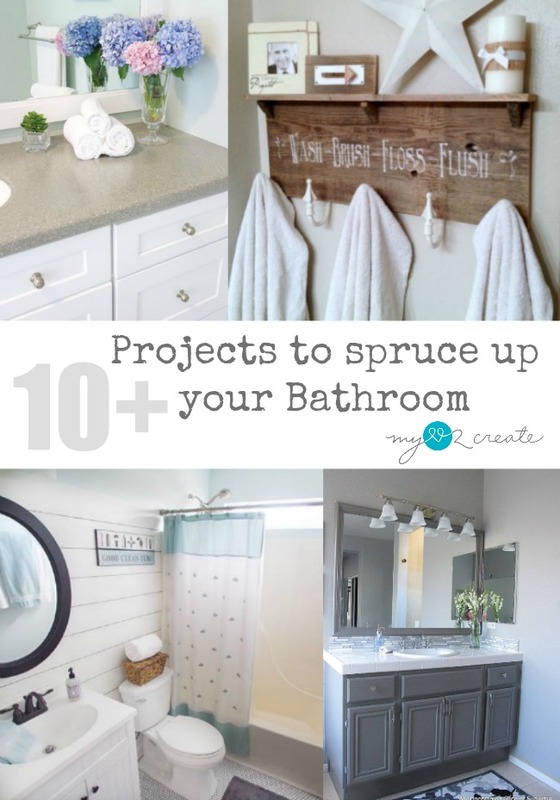 This month we are bringing you 10+ Projects to Spruce up your Bathroom! My bathrooms could use some love, and I am excited to try some of these ideas! I am sharing an easy and very life changing project. 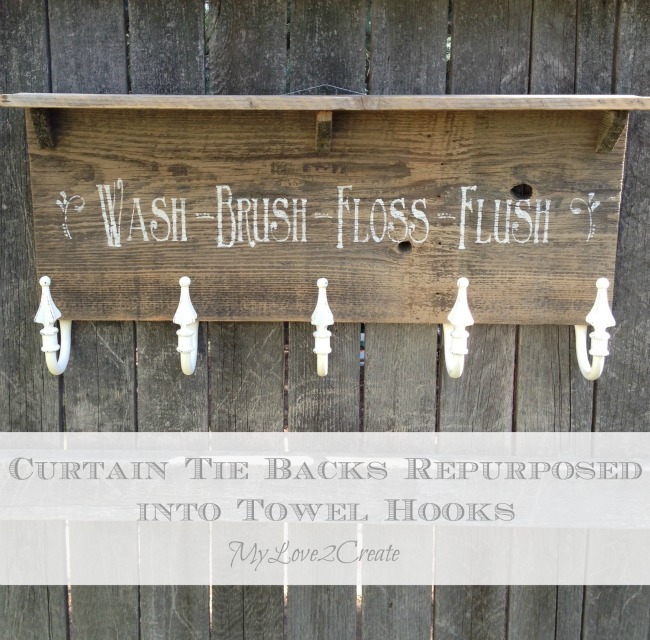 It is amazing how hooks can save the day, or Curtain tie back repurposed into towel hooks, if we are going to get technical! Now to see all these awesome bloggers Bathroom ideas! Check all the links below to be inspired to get your bathroom in "shape" for the new year! Love the fun words for the kiddos! Thanks for sharing your project with SYC. 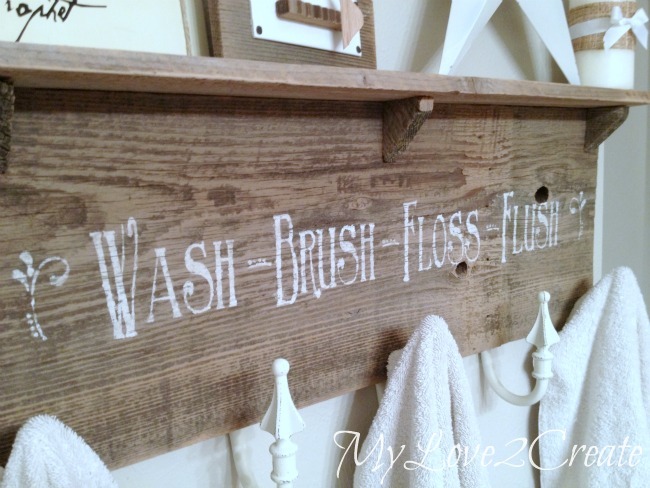 Great round-up of bathroom ideas! This is one room that's on my (long) redo home project list. Visiting from Homemade and Handcrafted party. I love the Napoleon makeover. Its amazing how much you can actually transform something. Especially how it originally looked. Good job on their behalf.